Mounds upon mounds, most six-to-eight-feet tall, spread uniformly across hundreds of prairie acres, creating an otherworldly effect whose origins are yet understood. Follow the interpretive trail and ponder the mysterious landscape for yourself. Birders will find plenty of opportunities for wildlife viewing at this preserve. The wide mounds dot the landscape in an almost perfect, repetitive pattern akin to the reverse divots of a golf-ball. A mound-shaped observation deck allows you to gaze above the mounds to get a better feel for the magnitude and scope of the mounds as they extend across numerous acres. 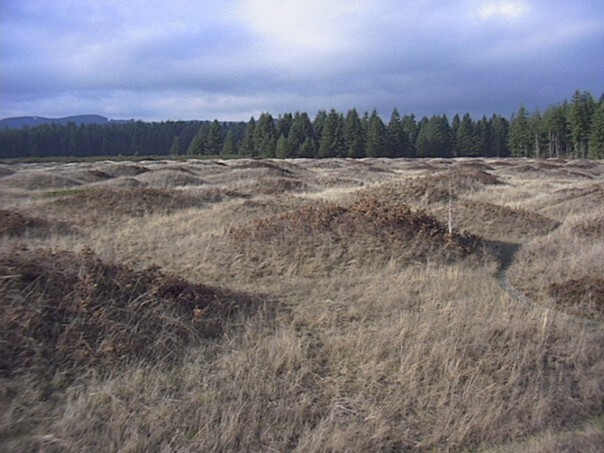 Theories abound to explain these unique mounds ranging from giant gophers, to alien sightings, to volcanic-inducing vibrations and harmonics that ’sifted’ various soils and minerals to the surface of the land.